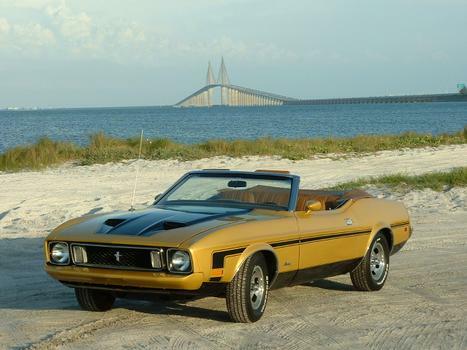 Recently restored 1973 Mustang Convertible. 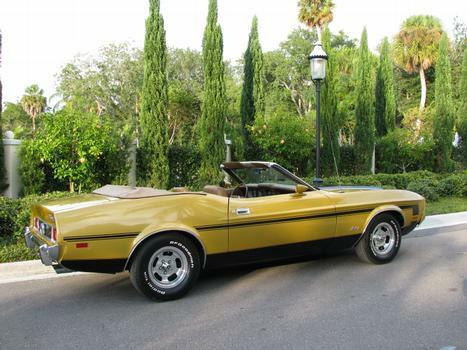 Gold Glow paint job with Mach stripes, ram hood, Ginger Interior, 302 4 barrel, with factory rims and a working Ford am/fm 8 track player. thats one sweet ride! I bet the 8 track plays K.C. and the sunshine band!!!! !